Download 24.37MB file here (386 hits). Posted: August 27th, 2005 under Farscape. The opening credits of one SciF showi redone to fit another. This was made for Clamshell Challenge #14. Download 4.29MB file here (318 hits). 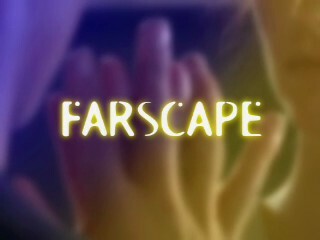 Posted: August 21st, 2005 under Farscape. The inspiration for this vid came from one single line in the vid: “she’s not breathing”. The first time I heard this song, I knew this was going to be Aeryn dying in John’s dream wedding. I just never could figure out what the rest would be. Until one day I sat down, searched through my list of song I could vid and a dear friend in chat asked me if I ever had considered vidding “Hello”. Well… here’s the result 🙂 A very dark look at John’s fantasies in the episode. Download 18.06MB file here (446 hits). 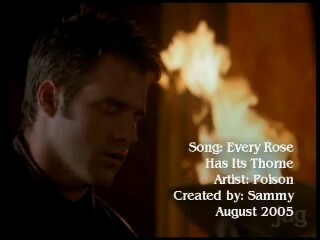 Posted: August 14th, 2005 under Farscape.